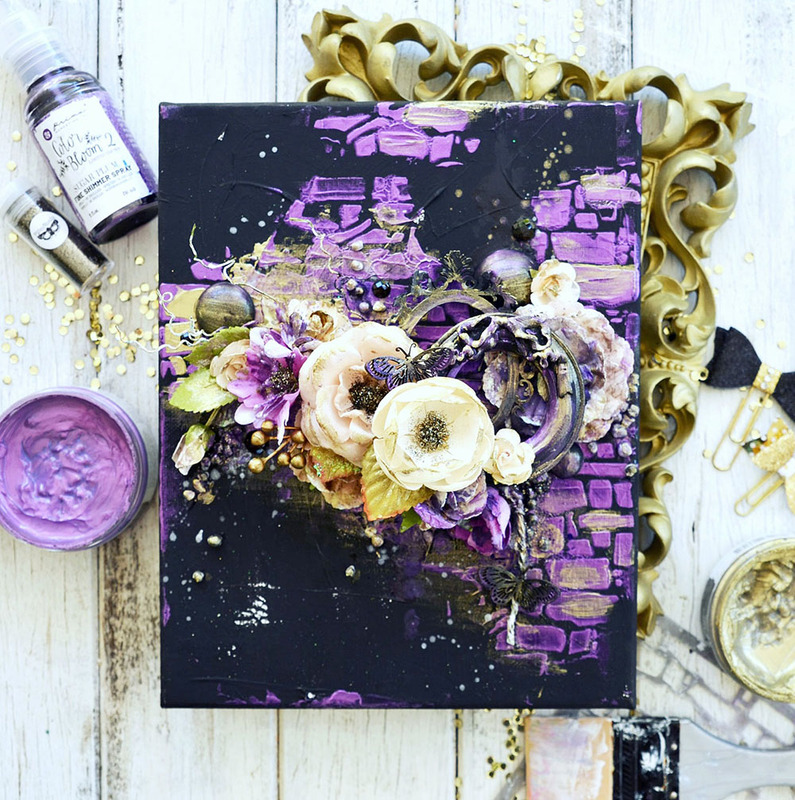 Icing Pastes, Pastel Impasto Paints, Designer Stencils…all of these amazing products are brand-new in our Finnabair mixed-media line! And they will be available very, very soon! 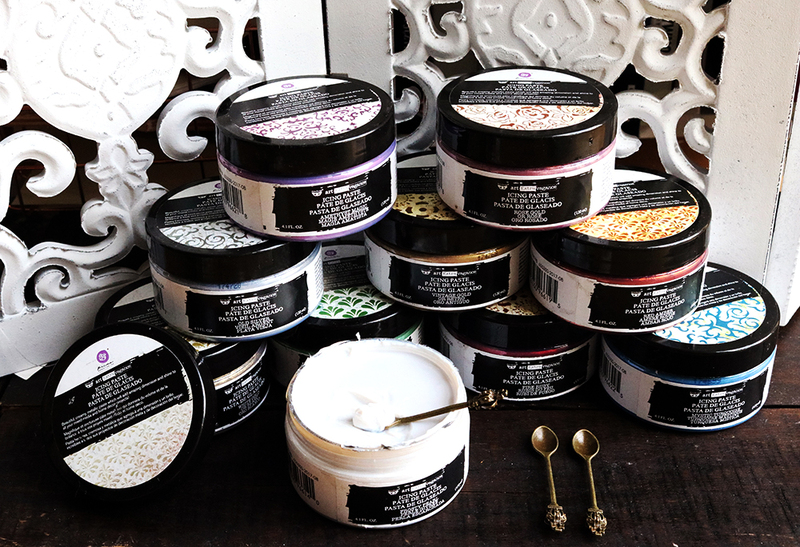 Art Extravagance Icing Paste Details: Beautiful, creamy, metallic paste which will add amazing dimension and shine to all your mixed-media and home décor projects! 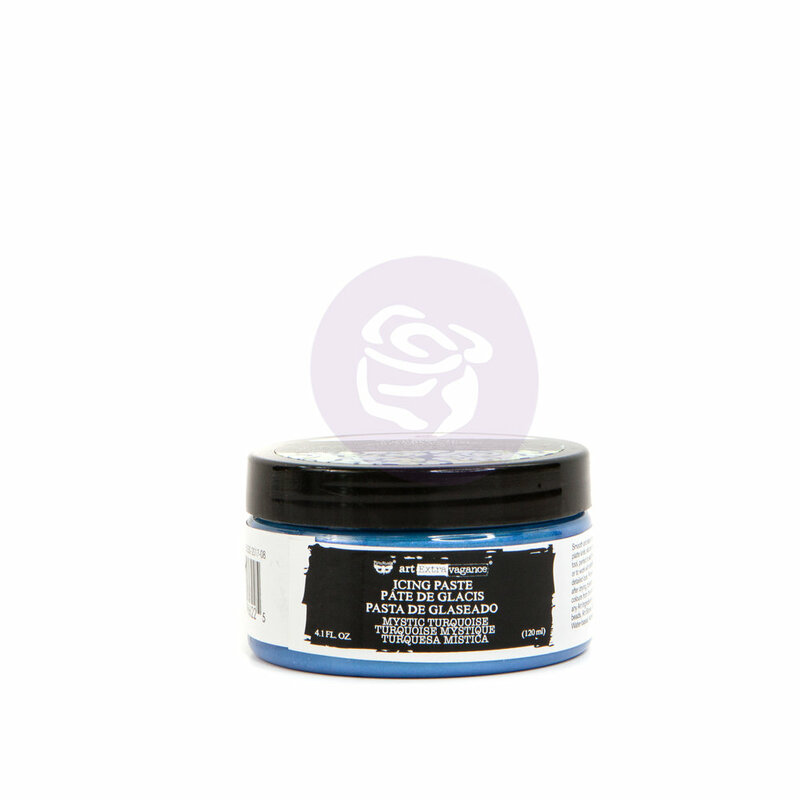 Smooth and easy to spread with a palette knife, silicone brush, or texture tool. 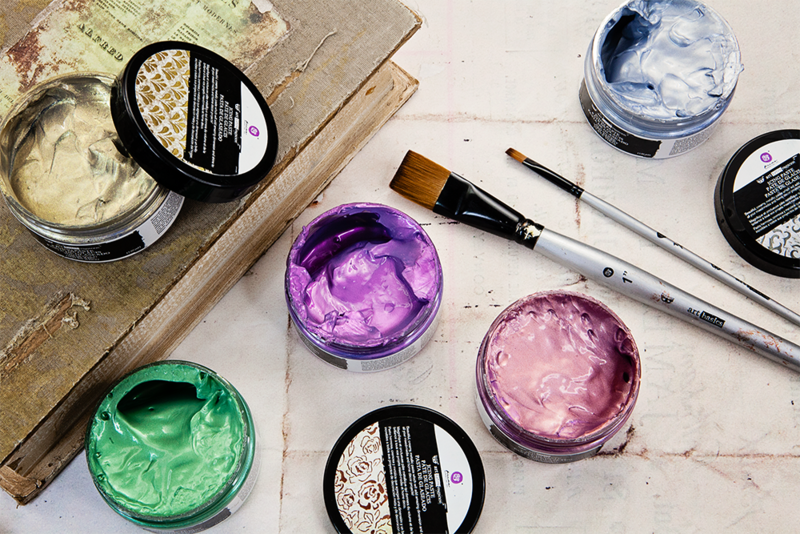 Perfect to add free-hand effects, or to work with stencils to add great, detailed look. 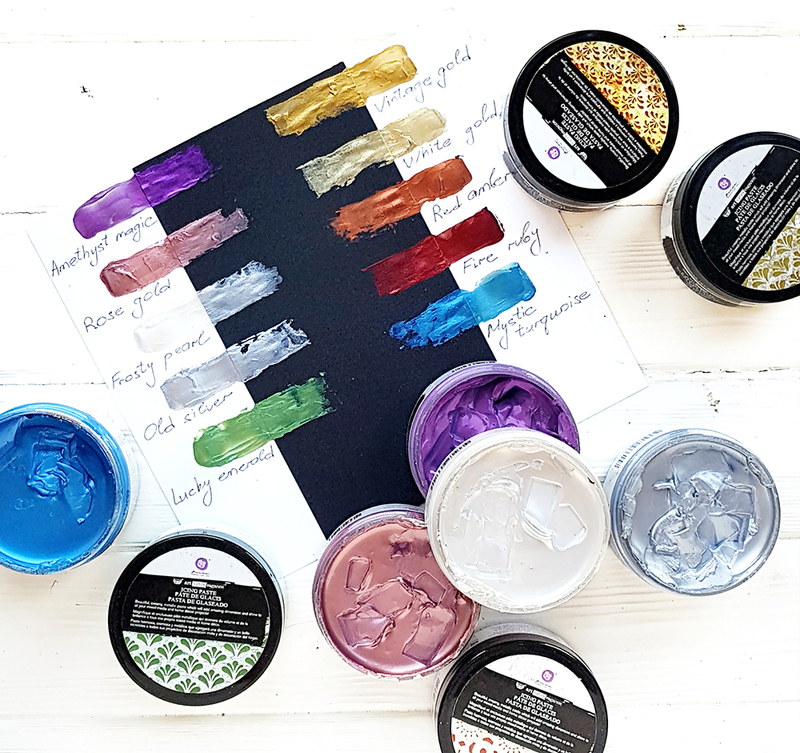 Permanent and flexible after drying, possible to mix with other colors from the same line, but also any Art Ingredients such as micro beads, Art Stones, Glitters and more! Water-based. Archival-safe. Non-toxic. Available in ten amazing colors: mystic turquoise, fire ruby, lucky emerald, red amber, amethyst magic, frosty pearl, rose gold, white gold, old silver, vintage gold. 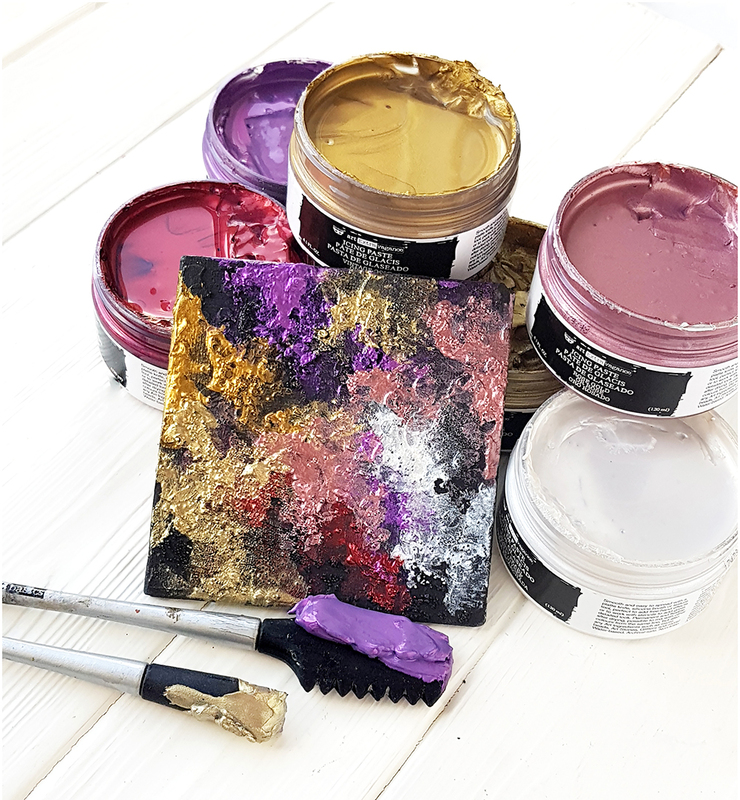 More info: Great quality, beautifully creamy metallic paste with color palette corresponding with our Art Alchemy Metallique and Antique Brilliance Waxes. Easy to spread and rich in color. Perfect for working with even the most detailed stencils, giving dimensional, crisp, and shiny effect. 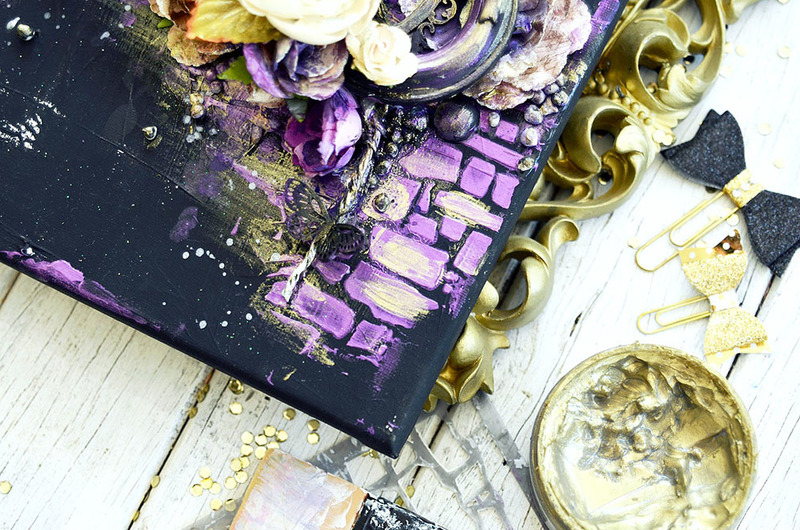 Great for all mixed-media, giving metallic resist effect and for all the paper crafts when you’d like to get beautiful, dimensional details! 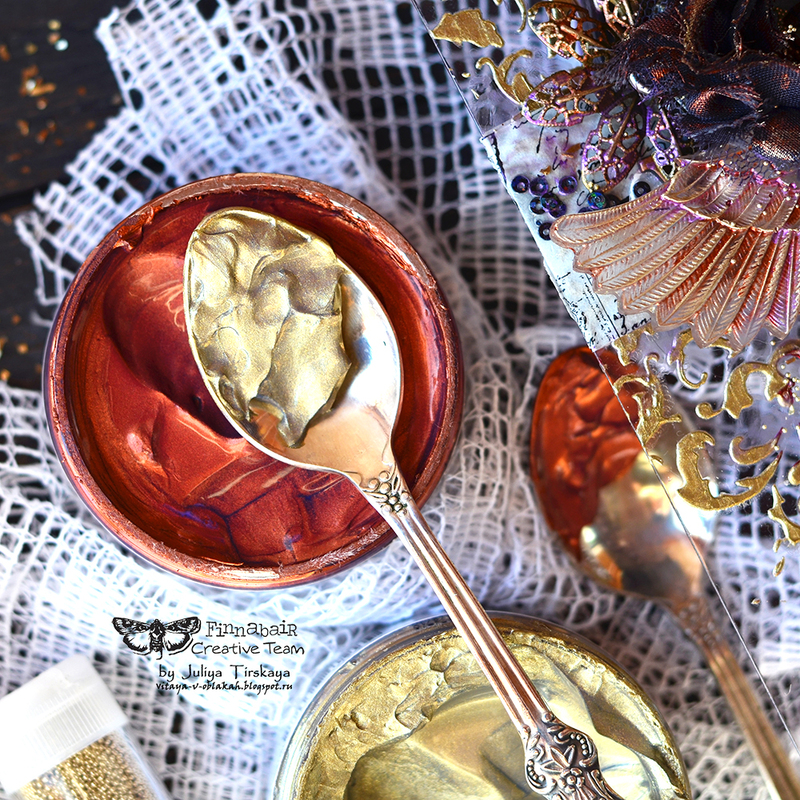 You can mix some of your favorite dry ingredients in easily- just think about adding glitter, sand, beads, and more! Photos by Karolina Bukowska, Kasia Bogatko, and Olya Kravets. 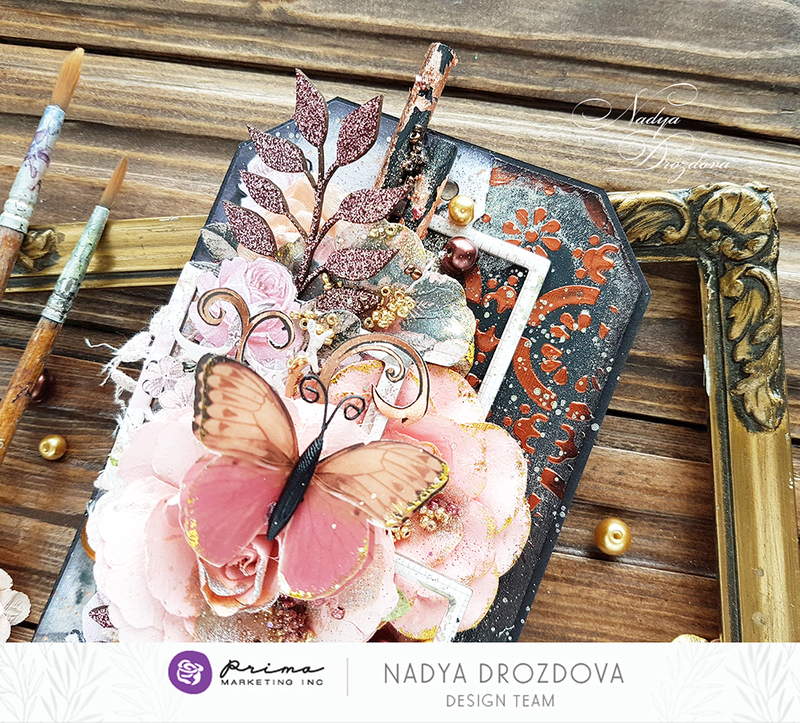 Get ready to stencil in style with Finnabair’s signature designs in six new patterns: iris tapestry, manuscript, ornate lace, passiflora, swirly florals, wild berries. 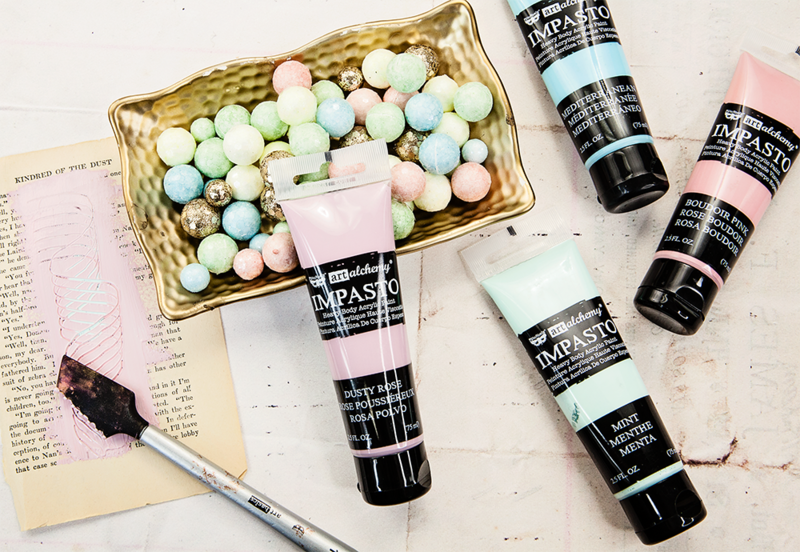 This was an absolutely HUGE post, but we wanted you to see the magic in these new Finnabair products…especially the ICING PASTES!!! I just want to thank all of the gals from Finn’s team and Prima’s team for working so hard to make projects for today! You gals rock my world!!!! Make sure you check back tomorrow as we do another FULL REVEAL with another new line!